In order to find the best mortgage rates, you’ve got to do a lot of homework, and a lot of shopping around. The good news, is that according to real estate experts, 2017 is a great year to buy a home. Below are some of the ways to be sure that you get the absolute best deal on a mortgage rate when you buy a home this year. Comparing rates is the most important thing you can do. Remember, while your agent is on your side, his primary concern is still to close the deal quickly. Securing a mortgage can be complicated; don’t feel rushed to go with the first lender you find, due to pressure from your realtor to hurry up. The turtle usually wins the race. Better to end up in your second choice home with a fair interest rate, than lose a house that you’d be paying a crazy mortgage on each month. Decide whether you want to go with a local or private lender, or a large company. Read on: Interest Rates Predictions: When Will the Bank Rate Rise? – The Telegraph. Be sure to check out the rates online before you go applying to a bunch of lenders (which will really hurt your credit score). On the topic of credit scores, be sure that your credit is in tip-top shape before you apply. If your credit is currently weak, or your score isn’t where you’d like it to be, you should probably wait on buying a house. Find out: Which Mortgage is Right for Me? Better to wait another few months or a year for your score to rise, instead of getting a mortgage loan with sky-high interest rates. Also, you’ll be able to get more and better loan options if your credit score and history are excellent. It can be painful to save enough for a down payment, but paying more up front can help you score a better interest rate and save you money as you pay down your loan. It may also save you the cost of mortgage insurance, which many lenders will charge if you have a lower-than-normal down payment. Read: J.D. Power U.S. Primary Mortgage Servicer Satisfaction Study. If you know you’ll be in your home for a relatively short time before selling, looking at adjusable-rate mortgages can make more sense. That’s because you can take advantage of the ARM’s low initial interest rates, and then sell the home before the rate re-sets. 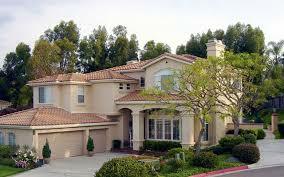 You’ll want to find the best mortgage lenders that you can. This is why asking around can be so crucial in helping you find the best mortgage companies in your area. Ask your family and friends, especially if they’ve recently purchased or refinanced a home. Ask whether they felt they understood the lending process, whether their agent was knowledgeable and polite, as well as whether they feel they got the best rate they could or not. Pay attention to the lender’s manners and actions. If you call a lender for information and don’t receive it quickly, consider that a red flag. Similarly, any lender who is either unwilling or unable to clearly answer your questions or acts irritated, will likely not be easy to work with. Fixed-rate mortgages: A fixed-rate mortgage is by far the most common type of home loan. It’s also the easiest to understand. Though the proportion of principal versus interest on your bill will change over the course of the loan, you still pay the same amount every month. Your interest rate is locked in when you close on the loan, so you aren’t vulnerable to sudden increases in interest rates. Adjustable-rate mortgages (ARMs): Typically, these types of mortgages offer lower down payments, lower initial interest rates, and lower initial payments, making it easier for a wider range of people to qualify for better homes. FHA and VA loans are government-backed mortgages. FHA loans require much smaller down payments than conventional lenders. They may also be available to those with less-than-perfect credit. However, you’ll likely be on the hook for mortgage insurance each month in order to help the lender take less of a risk. Technically, interest-only mortgages are a type of ARM. These mortgages are tempting because they allow home buyers to pay only interest for a certain period at the beginning of the loan, keeping payments as low as possible. 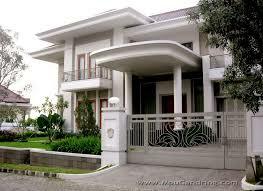 They can be a good choice for someone who expects a large income increase in the near-future. Balloon mortgages offer low, fixed interest rates for a short term. You may even end up having to only pay the interest on the loan for that term. However, the remainder of the loan, which is usually pretty high, is due when the loan term ends. In essence, is a balloon mortgage ever a good idea? I’m trying to explore my mortgage options and I came across this and have never heard of one before. Well, although not as popular as they were before the mortgage crisis, a balloon mortgage is still an option for homebuyers. These loans can be tempting, since they tend to come with lower interest rates and monthly payments than traditional mortgage loans. – Interest rates could rise significantly between now and then, making your monthly payments much higher after you refinance. – There is no guarantee that you’ll still be a “qualified” homebuyer five or seven years down the road. Your income could potentially drop, or your credit could be worse than it is now. Either of these things could make refinancing tough, expensive, or impossible. – Property values could plunge between now and then — it’s the reason so many balloon mortgage borrowers ended up in foreclosure a few years ago. If the initial term of your balloon mortgage runs out, and your home is worth less than you owe, no lender is going to refinance your mortgage. Unless you know for a fact you’ll be selling the house within the next few years, it’s tough to justify a balloon mortgage. However, mortgage choice depends on many factors according to your needs. Hope that helped!